Catholic News World : What is Mardi Gras or Shrove (Pancake) Tuesday? All you Need to Know with a Recipe! What is Mardi Gras or Shrove (Pancake) Tuesday? All you Need to Know with a Recipe! "Mardi Gras" is french for fat tuesday. This refers to the day before Ash Wednesday when the 40 days of Lent officially begins. "Mardi Gras", "Carnival" and "Shrove Tuesday" all involve celebrations of eating, drinking, dancing, etc. before the fasting of Lent. Some celebrate the "Carnival" by joining in parades with elaborate costumes, festive music, dancing, and other activities. The english word 'Shrove' refers to confessing of sins for Lent. 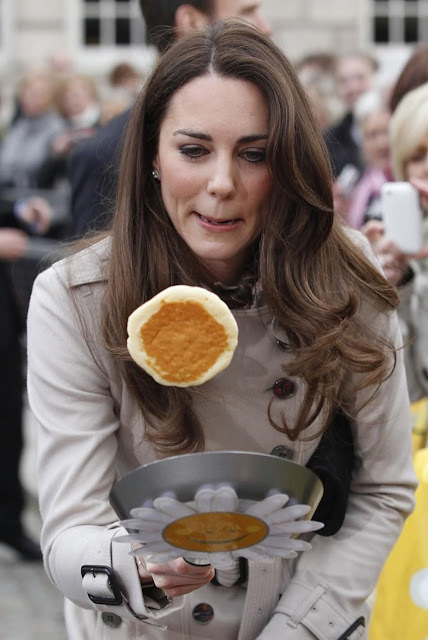 In parts of Europe the "Shrove Tuesday" is celebrated by flipping pancakes. "Carnival" means farewell to meat. There are many cities world-wide that have historic and magnificent celebrations on this day. The most famous include cities famous for Mardi Gras celebrations Rio de Janeiro (Brazil), Trinidad and Tobago, New Orleans (Louisiana), Quebec City (Canada). The Jews also celebrate the re-dedication of the Temple with Hanukkah. When the re-dedication occurred there was a lighting of the lamps with pure oil that lasted for 8 days. To commemorate this the Jews eat latkes (potato pancakes), made with lots of oil.